The maestro himself (Okorie Johnson) takes to the stage to perform at his latest show. Tonight's performance was part of a solo cello concert series entitled Epi.phony. 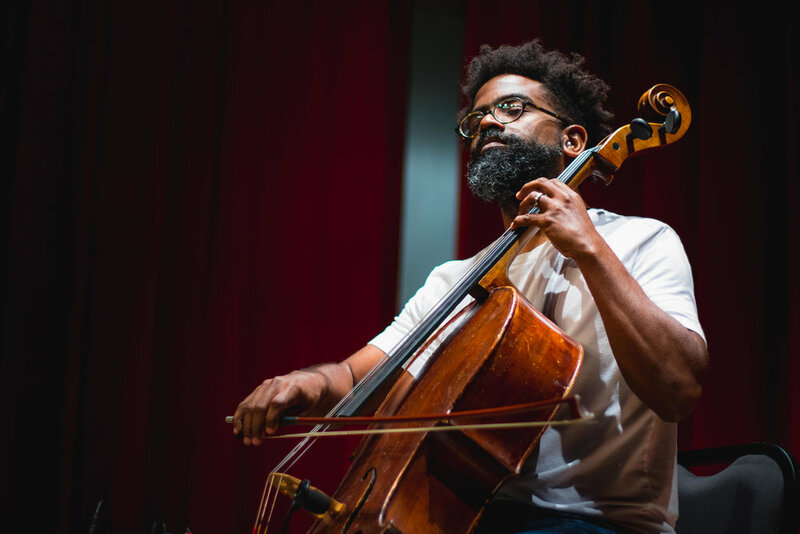 The Epi.phony series is a multistyle musical journey, which explores solo-cello performance, live-looping, improvisation, audience participation, and storytelling. In collaboration with the Auburn Avenue Research Library, this was a celebration and recognition of Black Music Month.